The arrest and detention of Socialist Party TD Paul Murphy on Monday morning left me nursing one thought: Sinn Féin are furious. They are furious a key competitor for Dáil seats, was so richly gifted by An Garda Síochána. They are furious their once near monopoly on public protest is usurped. The allegations of political policing flew thick and fast. If I were that paranoid, I’d assume there was a Socialist Party stooge in Garda HQ, orchestrating dawn raids, straight out of central casting. This has done Paul Murphy and the Socialist party a power of good. The losers are those competing with them to lead disaffected, protesting Ireland. It always amazed and disgusted respectable Ireland that seemingly nothing succeeded in putting Sinn Féin voters off their cause. The glee with which every new, albeit historic, revelation was greeted was inevitably followed by disappointment at its negligible effect on Sinn Féin support. 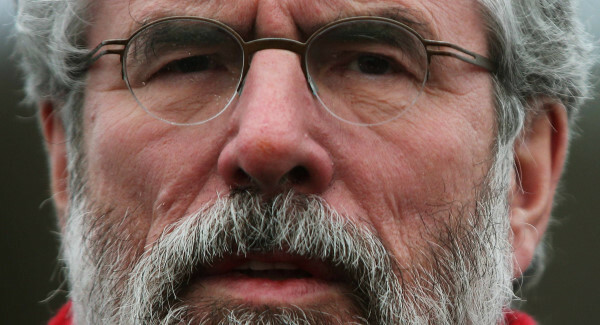 Gerry Adams’ arrest last April in connection with the murder of Jean McConville instantly excited an expectation of his political demise that was promptly disappointed. His temporary accommodation in a Belfast prison cell, like Murphy’s in Terenure on Monday, was a political stage. Murphy like Adams understood that the successful enactment of the role of ‘political’ prisoner, means gaolers are attendants, not interrogators. It is the prisoner who enjoys the spotlight, and on Monday it belonged to the Socialist Party, not Sinn Féin. My sense is Monday was a red-letter day for the Socialist Party. It has crystallised what was coming. It is still far from the mainstream of political support, but it has entered conventional conversation as the Anti-Austerity Alliance (AAA); its preferred brand now. Once a parliamentary one-man-band in Joe Higgins, which could easily have disappeared with its leading light, it has succeeded in passing the baton, without dropping it. It could have been different. The disaffection and defection of Clare Daly left the party close to a laughing stock, and that was just from the outside. The internal rift, was a good deal more serious. As it seemingly fell in on itself, its long-time competitor - Richard Boyd Barrett’s Socialist Workers Party rebranded as People Before Profit - seemed a better bet, at least on the hard left. In any event both were eclipsed by the rise of Sinn Féin. It is an open question now as to whether Sinn Féin is still rising. They have received a setback in recent opinion polls. But that down turn is too recent to be a trend, yet. More ominous than the dip in the party’s poll numbers is a more definite knock in Gerry Adams’ popularity. Unlike the reflux of historic events, even the horrific murder of Jean McConville, the allegations of Mairia Cahill had an impact like no other since the sisters and fiancée of the late Robert McCartney confronted Sinn Féin head-on. 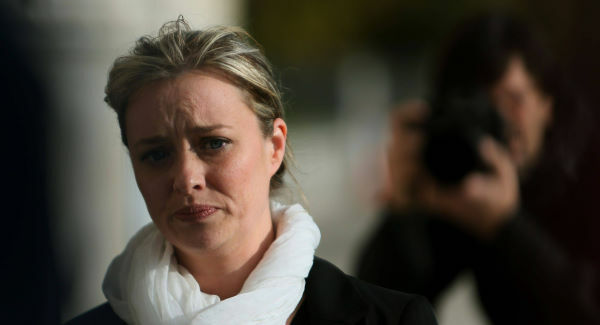 Mairia Cahill has unquestionably damaged Sinn Féin temporarily. The permanent consequence for the party is still unknown. What is more obvious is that Mary Lou MacDonald now joins her leader as a compromised figure. Given the stock of political capital invested in her over decades by Sinn Féin, this may ultimately be the most lasting consequence. In tandem with the significant hiccup in the party’s hitherto inexorable rise in opinion polls, is the emergence of an alternative political voice for angry Ireland. Who better then, than Paul Murphy, a young man who famously travels with a megaphone in the boot of his car? Anger is what he does, does well and fluently. In tandem with the emergence of Mairia Cahill is the arrival of other political forces that are real competitors for Sinn Féin on the ground, among voters who are profoundly disaffected from so-called establishment party’s. The Socialist Party, as the Anti-Austerity Alliance is one; People Before Profit is another; and the potential emergence of a block of rural-based independents around Roscommon South-Leitrim TD Michael Fitzmaurice, a third. Just as the hegemony of the traditional two-and-a-half party system has crashed, the supremacy of Sinn Féin as the pivotal alternative is now challenged. The election of Fitzmaurice to replace Luke Ming Flanagan, and the Socialist Party’s Murphy in Dublin South West are proof of that. Murphy’s election followed the successful election of his party colleague Ruth Coppinger in Dublin West on the resignation of Labour’s Patrick Nulty. This is their leader Joe Higgins’ constituency, and she is well-placed to ensure continuity there. For a small party, survival when a founding figure moves on is success in Irish politics. It is a ripe irony that People Before Profit did most to position Murphy. He had a realistic, though not certain, chance last June of regaining the Dublin seat once held by Joe Higgins in the European Parliament. 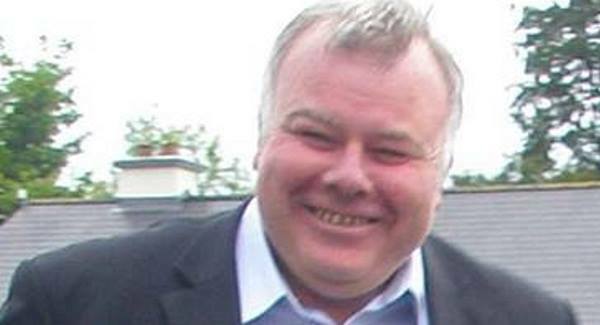 Their candidate Bríd Smith, split his potential vote and scuppered his chance. That European campaign paradoxically set him up to be the surprise winner of Dáil seat vacated by Fine Gael’s Brian Hayes. Winning that seat was expected to be the next step on an unstoppable march for Sinn Féin. They not only lost the by-election, they may have lost momentum. Everything is relative. Sinn Féin still enjoys nearly twice the support in opinion polls now that it received in the last general election. It will inevitably be a much larger party in the next Dáil. But it is beset by as many challenges as opportunities. There are definite limits to how far Adams can take it. 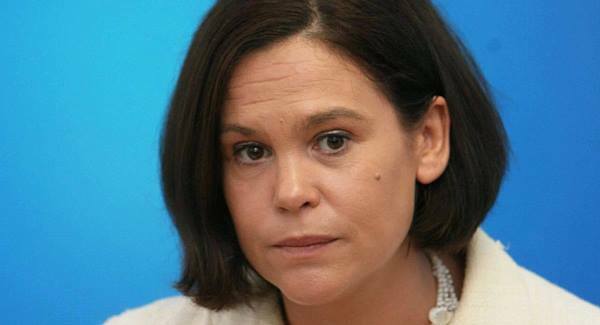 Mairia Cahill is a legacy that Mary Lou McDonald will not live down. Its serial protests in the Dáil chamber alienate the middle-Ireland it must appeal to in order to make the next quantum leap. On the streets, others - principally the Socialist Party as the Anti-Austerity Alliance - have emerged as a serious threat to its leadership of those most angry and alienated. The emerging divide in Irish politics is within two distinct blocks. Firstly there is the competition between Fine Gael, Fianna Fáil and Labour. In that matrix, Fine Gael, if it can resist making a mess of its opportunity, is capable in a recovering economy of regaining some lost support, remaining the largest party and being central in a new government. Labour can make incremental gains at best, but survive. Fianna Fáil, however, is clearly struggling for an identity. Sinn Féin is and will remain the largest part of any alternative choice. However, its wider appeal to middle Ireland is questionable. People returned to work are more interested in taxes, than welfare. On its flank is a newly-strengthened party of protest, with leadership that can challenge it among voters it considers part of Sinn Féin’s core. Looked at through the prism of who most loudly leads angry Ireland, Murphy’s detention is an apt reminder of the old Sinn Féin slogan “Put them in to get them out”.